China under 19’s have won the Panda Cup based in Chengdu, China. The Panda Cup is an invitational 4 team tournament that takes place each year. The four teams who took part were China, England, Uruguay and Hungary. China played England in the match that would decide who would be this year’s eventual winner. England started brightly and hit the post, but China composed themselves in the second half and got the match winning goal in the 80th minute, the goal was scored by Guo Tianyu of Shandong Luneng. This could be a sign that China’s money, and all the efforts into building excellent youth connections with clubs in Europe may well be paying off as the other sides in the competition were what would be classed as good quality opponents. England and Uruguay could be considered first tier opponents for China, with Hungary being a part of the rabble of mid-level European teams. Even if the Chinese senior team are now afraid of playing European or South American opponents after losing face in the China cup where they were soundly hammered by Wales and Czech Republic, the youth side has shown it is capable of competing with other top level youth sides, even if the Chinese squad was slightly older than the English contingent due to England not having an under 19 team so they send the under 18 squad. 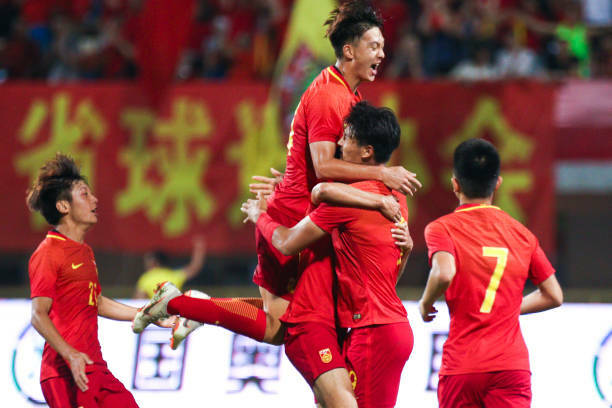 If China continue to develop young players at the rate they’re pushing it now they could easily become a mainstay at future World Cups, it will take time but with the amount of money being thrown at it ensures that it isn’t a case of will it happen, but when?